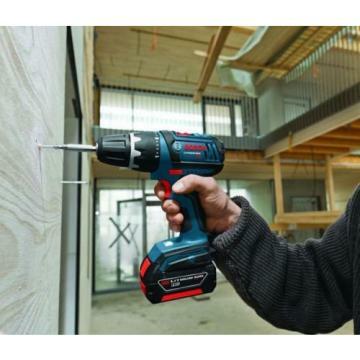 Boschs DDS181-02L 18-Volt Compact Tough Drill Driver features a new patented gear train and clutch creating the most compact design and lightest weight in its class. With a 4-pole motor, the DDS181-02L performs with maximum power. It also includes a flexible power system that is both DD and HDD compatible with every 18-Volt lithium-ion Bosch battery.